Spring fever has hit us here at iPenstore! The birds are singing, the flowers are blooming- May is a glorious month in Michigan. Just driving down the road to the store today I saw pink dogwoods blooming, white pear tree blossoms, and yellow forsythia. The local flower nursery has hanging baskets in every color- and I can't wait to pick one up! And of course, this Sunday is Mother's Day! In honor of May, and all the moms who love fountain pen ink, we featured five of our favorite flowery inks to share with you. 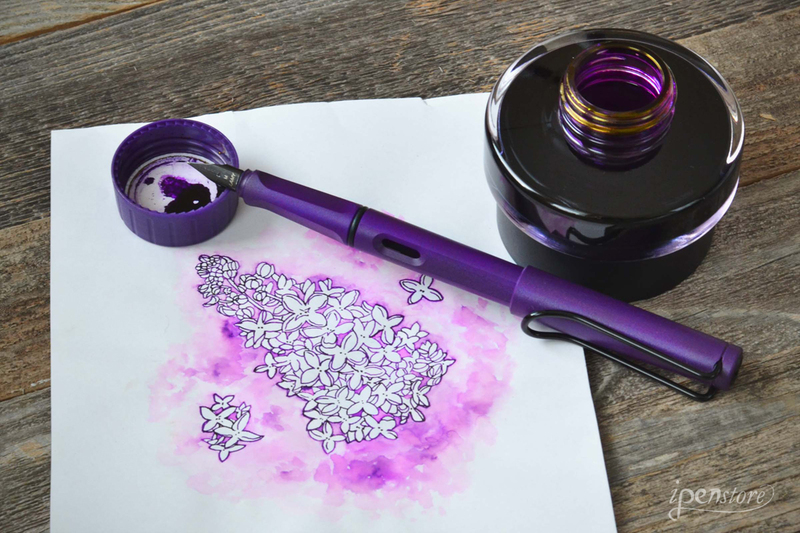 Noodler's Violet fountain pen ink is a blue-purple ink. It has some nice shading, as you can see from our artist Claire's drawing. The ink is very saturated, lubricated, and doesn't feather. This is a great purple if you're looking for one on the cooler end of the color spectrum. Next up is J. Herbin's Bouquet D' Antan. 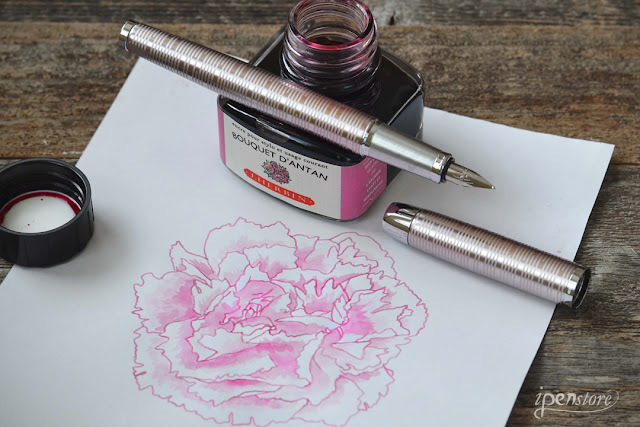 This is a soft, muted, delicate rose colored ink. It's a watery color and very subtle. If you are looking for an ink that inspires romance and nostalgia, look no further! 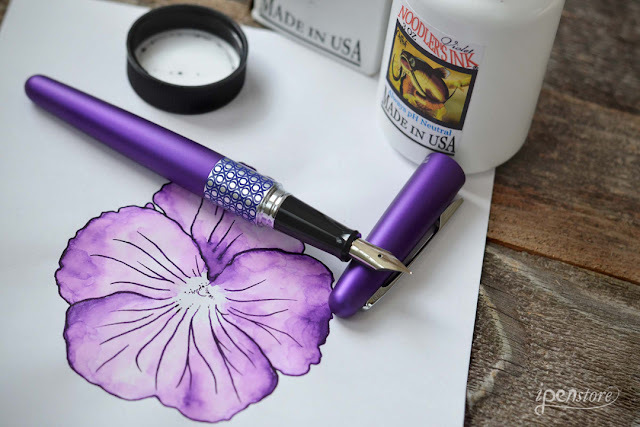 Lamy's newest color, Dark Lilac, has been getting rave reviews in the fountain pen community. This purple is on the warm end of the color spectrum. It has good shading and a beautiful golden sheen to it. 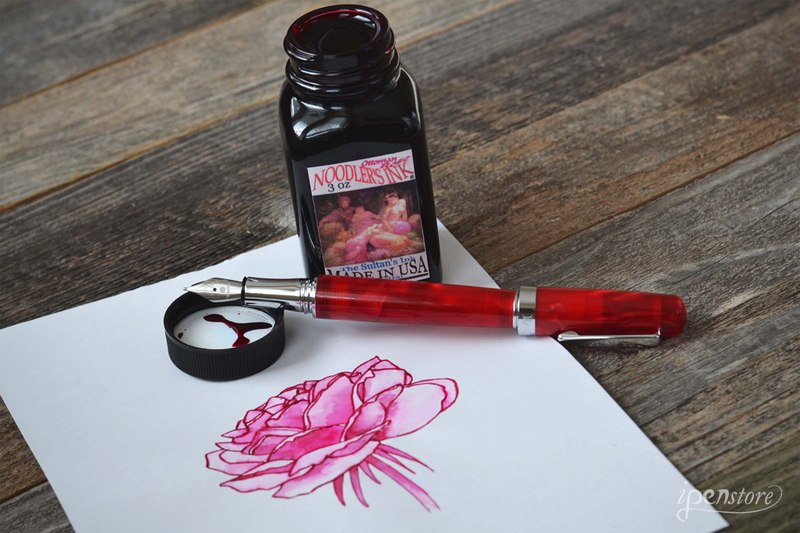 Noodler's Ottoman Rose is a reddish pink. This is a deeply saturated vivid color! You will see dramatic shading with this ink- especially with a broad nib. This ink gets high marks for drying quickly and excellent flow. Very minimal feathering and bleed through. 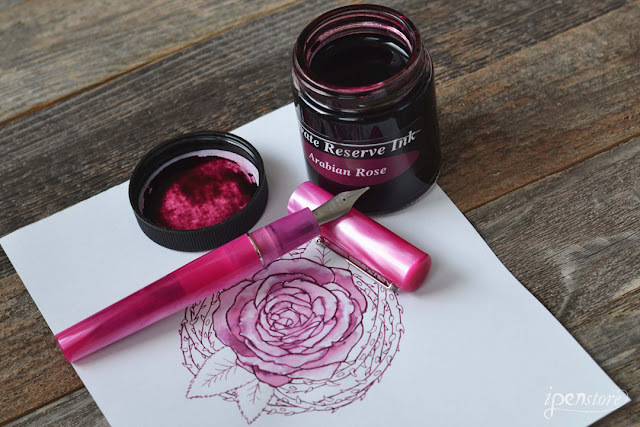 One of our favorite inks- Private Reserve's Arabian Rose is a pinkish purple. It has beautiful shading and no feathering or bleed through. This medium saturated ink is very lubricated and well behaved. This is an ink that is dark enough to be able to use as an everyday color, since it looks like a dark burgundy from a medium point. Beautiful color! So these are our favorite flowery inks for May! Happy Spring and Happy Mother's Day to all you inky Moms out there!